Ray’s latest series, Wilderness Walks with Ray Mears, hits the halfway point next week with its third episode, airing at 7:30 PM on Tuesday 28th October, on ITV1. For viewers in Wales, episode 3 will be aired at 12:10 PM on Sunday 2nd November. 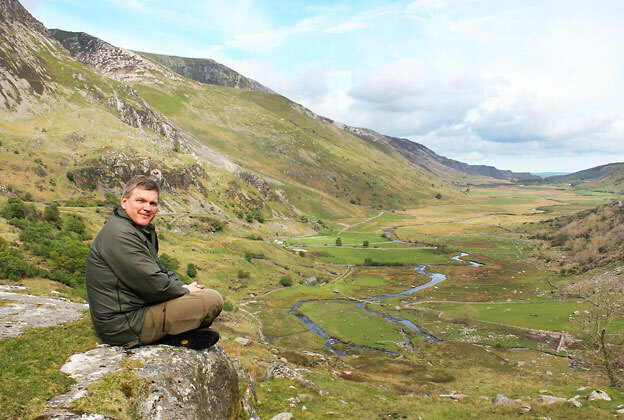 In episode three, Ray visits Snowdonia and discovers how, in the rugged landscapes around Britain’s highest mountain, there are forms of wildlife which survive against all the odds, and can only be found in this very special part of Wales. If you missed episode two, which saw Ray travelling down the River Thames by canoe, you can catch up on the ITV Player here. This entry was posted in Ray Mears and tagged 2014, Britain, Episode 3, ITV, online, Ray Mears, Snowdonia, uk, watch, Wilderness Walks on October 23, 2014 by Woodlore Limited.